AAMCO customer service managers undergo three days of training at the AAMCO University. AAMCO University saw its first-ever graduating class walk the stage in Newnan, Georgia. Forty-six customer service managers from AAMCO franchises in the U.S. and Canada completed the Advanced Customer Service Management Training Program. 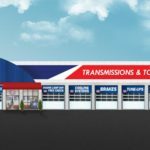 For half a century, the American public imagination has linked the word “transmission” to the AAMCO franchise, and for good reason. Our proven expertise in fixing the most technically challenging part of a car is heralded far and wide, and as a result, we remain the leading brand for transmission work. To help our franchise owners get a bigger slice of the general automotive repair market, which generates $62 billion a year in sales according to IBISWorld research, we launched our “Trust” advertising campaign to expand the public’s perception of what we do. After all, if we are trusted to fix the most complicated part of a car, we can surely change our customers’ oil, fix their brakes, and rotate their tires. During the three-day session, we presented our customer service managers with the latest tools and processes in sales and service designed to deliver a great in-store customer experience and keep the brand at the forefront of the automotive industry. Kane Medley was one of the managers selected to be part of the Advanced CSM Training Program. With 20 years of experience in the automotive industry, Medley leads the team at the AAMCO service center in North Canton, Ohio. AAMCO University helps franchise owners indirectly by providing their customer service managers with greater service skills and tools. But franchisees are directly helped by the AAMCO University team in a big way. 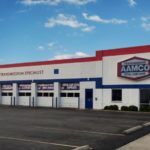 While we don’t require that our owners have prior automotive experience before partnering with us, they will know the second they walk through the doors of AAMCO University that we take our training seriously. Our top-of-the-line programs and equipment have provided consistent benefit to franchisees, staff, and loyal customers who trust the AAMCO name like no other in the automotive world. Franchise owners can work with our expert instructors in more than 300 courses, ranging from basic shop safety to master-level diagnostics and transmission rebuilding. These modules are offered in classroom, online, and interactive settings.